Reading the variety of complaints on the wall of our Facebook Page right now it occurs to me that many things could be helped by both sides of the gaming environment for Frontierville, Zynga and the players, thinking of Frontierville more as a video game than a time waster such as Farmville. As a long term gamer who's had computers and consoles almost his entire life, since a Sinclair Spectrum 48k at the age of three (Lord love rubber keyboards and replaceable membranes), I tend to see Frontierville in a different light to some of the other members. One of the biggest complaints from members seems to revolve solely around the mission requirements and can be narrowed down to "it's too hard" or "it'll take too long". It's fair to say we live in a world of instant gratification but also, at it's core, Frontierville is a video game and, as such, contains a difficulty curve the further in you get. I think many of the players of online games, especially things like Zynga games, are used to the Farmville model. When I played that game it really didn't matter that much when you levelled up or what you did during the day, occasionally you got different gifts to send or different crops to plant but it was all much of a muchness, one of the major reasons I left. On the other hoof, Frontierville has a mission structure, and as such needs to be treated slightly differently, almost like the games people, like I, flock to buy for our Playstation 3s, our X-Boxes and our Wiis. As you play Frontierville you collect resources, you increase your energy bar, you gain more neighbours who can assist with missions either by being hired or by coming and helping out directly. Because of this, to keep us interested, to keep us coming back, they need to make the missions harder. Even a third of the way down the mission tree we have things like "Build Up" which needs the terrifyingly difficult requirements of clearing 8 grass and building a general store. How about two thirds of the way through where we find "Learn About Sunflowers" and have to harvest 20 Sunflowers, unwither one for a neighbour and tend 5 more on a neighbour's plot. Not exactly under the heading of "taxing". Now, however, things are getting interesting. We're seeing mission threads that will take days, weeks even, to complete. Long term missions that are actually difficult, and this seems to confuse some of the players, I think because they've never really played "traditional" video games and don't understand the difficulty mechanic. Frontierville has never promised to be easy or quick. The earlier missions that could be completed in a few hours with minimal effort perhaps lulled some people into a false sense of security, they gave succour to people's demand for an instant rush and became exceptionally playable because they fed people's desire to succeed by praising them and rewarding them even up to three or four times a day. Play a video game and you understand one thing, the longer you go, the more you play, the higher your level... all of that means the upcoming missions will be tougher, longer and much more challenging. My current choice of game "Dragon Age: Origins" begins with short bursts through enemies who will fall over if you breathe on them too hard (shouldn't have had the extra garlic bread)... Well, that was 14 levels ago, my next mission will involve killing a dragon 6 times the height of me with just three colleagues and some sharp weaponry. It's going to be a nightmare and, in previous experience, will take at least 10-20 minutes for a single battle. It'll be long, it'll be tiring, I might well die at least once in trying to kill the darn dragon and might even get frustrated to the point of lobbing my controller out the nearest window. If I'd had this mission even 5 or 6 levels ago I'd pretty much be prepared to die easily and never, ever be able to complete it. But because it's come in later when I've levelled up, got more powerful and got bigger friends I'm hopeful I'll complete the mission. This is the same in Frontierville. If I'd had the upcoming expansion mission 4 or 5 months ago I'd be screwed. But right now I have more friends to send me stuff, I have more cash to buy the needed items, I've got the energy and stored food to be able to harvest everything I need to. It'll still take me ages to complete but that's fine. Just as Frontierville never promises to be easy, it also never promises to be quick. For me if the game was short sharp bursts of easy missions I'd probably give up, I prefer a challenge. I want games to reward me because I did something difficult, not just because I successfully worked out which was the left mouse button and clicked something successfully (although as my left mouse button is my right mouse button and my mouse isn't a mouse this, in itself, can be something of a challenge for the uninitiated). Of course, we also get the other half of the equation, if the missions are too easy and finished too quickly the biggest complaint we get on the wall is that people are bored and they want more stuff or they want harder missions. If the missions are too difficult the biggest complaint we get (sometimes, I'll openly admit frustratingly, it's even the same people) is that the missions take too long, need too much stuff... Missions should be quick and easy, even for people of levels 80+. I think for Zynga this counts as a no-win situation... in the same way as folks complain about missions with glitches, then complain when missions are put on hold to fix glitches... It can't be easy to know whatever they do in these situations is going to be complained about. However, having said that I wonder if there's one video game staple the Frontierville devs might think to slip in at some point which might at least calm some folks, both the missionless and the ones who want things easier. Levelling bonuses. Special items, special bonuses as you level up, above and beyond an energy refill and a horseshoe. My fellow admin and VG lover Esta mentioned this in a chat this morning. As you level up in video games you're generally rewarded with a boost to your ability, not just your bank balance... and the thought arrived from her of more School Missions (A thought I will now happily steal and twist to my own ends in this blog). 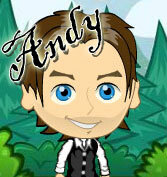 Yes folks, it's Andy's Imaginary Game Features time again. What about every few levels we received a new School Lesson that would actually HELP in missions, but also be a collecting challenge to pick up all the necessary School supplies? I think it's fair to say the School is criminally underused once you reach a certain level so how about this... Every 5 levels you get a Lesson that gives you an extra energy point, every 10 you get a Lesson to be able to hire an extra neighbour. Lessons that'll really aid in missions rather than just mean a few extra coins or XP when harvesting things. By later levels money, wood, food... they're all huge totals anyway and almost irrelevant but those helpful things like Energy and Hiring... THAT'S something we'd all love to have. Right now levelling is almost pointless (something that makes chicken farming all the more useless) as we gain very little when we do... So perhaps it's time for Zynga, as well as the players, to look at the game in a slightly new light, as a fully fledged video game. Think level reward items, think more things we could aim for BETWEEN missions and make us think about tending our animals and trees at normal times, not just when the game tells us to do it for a mission. The Jackalope badges have already brought one very successful video game staple, the Achievements, to Frontierville... so maybe it's time to think of other ways the world of consoles could make Frontierville an even better game? Because today's post is especially long and rambling the prize is something equally special. 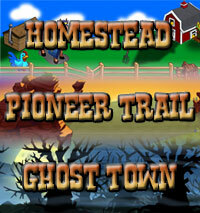 Anyone who reads this will get... AN INVISIBLE HOMESTEAD EXPANSION! Yes, I know it's what you've all been begging for so here it is, two more tiles of invisible space will appear around your homestead for you to keep all your invisible animals and buildings in, once you've deleted the invisible debris that came with it. Great idea, keep em coming! Andy, i think you are right. pple need the missions to be challenging. if they are too easy, whats the sense of playing, then your just sittiong around bored , waiting on another one. i think frontierville is perfect the way that it is, if pple have a complaint or problem with missions being to hard, them maybe they shouldnt play, its not the game for them.!!!! i love this game, and keep up the good work. how do you know we read it and how do you get the invisible expansion, im a lil confused on that one????? Good! I agree with what you have said, easy missions leave me feeling deflated and thinking is that all there is to it? I look forward to the more harder time consuming missions but what I do not like are the constant glitches, constant refreshing, constant loss of connection or being unable progress any further, I play frontierville after work when I want to relax, but unfortunately only have a limited amount of time to play in. make the game as a download that will run on your pc in the same way as a normal game you buy, but then connecting to frontierville via the net so the game is played in the same way. i think that after a while these games become "too big for flash" or zyngas servers and or isp is overstretched. if the bulk of the game was saved on a pc then their servers get a rest as does their upload and download speeds, which should speed the game up for the bigger level players and minimise glitches which are getting way out of hand for me!!!!! Having played Collosal Cave on a 4mg computer with DOS. I totally agree..hey I remember being so excited about Zork. Enjoyed reading your post. I like the challenge of FrontierVille. What I don't understand right now is that my neighbors have 2 missions that have yet to come my way (spaghetti sauce & flower shop). As I help my neighbors, I am building my inventory so I'll be ready when it arrives. I haven't had a new mission in a couple of days but I am patiently waiting for the next one as I enjoy playing this game very much. Thanks!! Back in the early 80s, I had my first computer, a second-hand Amstrad cpc 464, it took over half an hour to load a game from an audio tape (yep that was the model before the floppy disk...)and you had to stay close to reverse the tape... I had only two games Roland and the ropes and Roland in the caves,man, you had to really want to play!